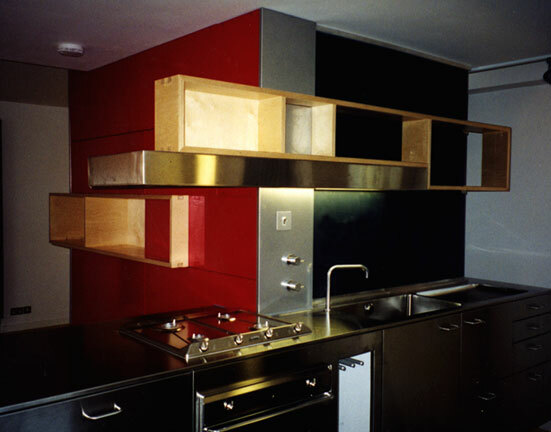 A bespoke made stainless steel kitchen with birch ply wall units. The s-shaped bench was made with birch ply strips, joined together on edge to show the striped end grain of the ply. The centre wall provided services for the kitchen and bathroom. The glass toilet and shower in centre of the room had a stainless steel back wall.